Last week I was in a Thai Iced Tea kind of mood. There's nothing like that combination of sweet, cold and brisk! 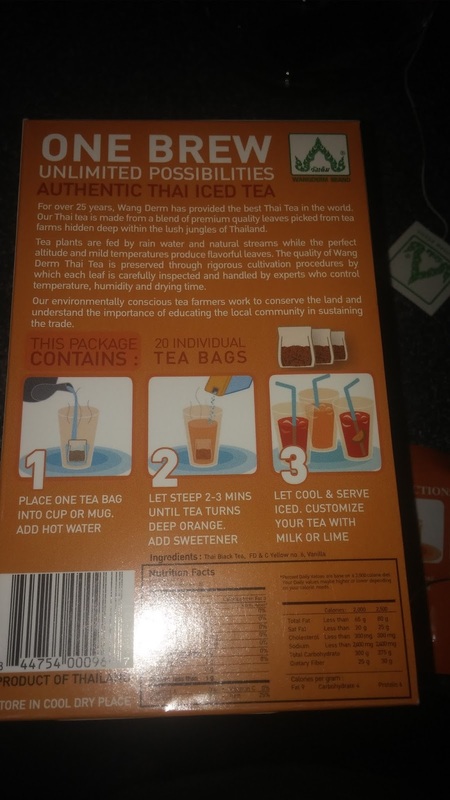 At home I have a box of Wangderm brand thai iced tea bags that I picked up in an Asian supermarket (Hong Kong Market, in case you're in the Houston area and need to know!) and it seemed like a good day to make a cup of it. The tea bags have a very sweet aroma, like vanilla cream. Indeed, the ingredients consist of black tea and vanilla flavor, so that's understandable. I added 8 ounces of boiling water to one teabag and steeped it for five minutes. c traditional plant from Thailand! The aroma of the steeped tea was that of sweet vanilla cream, and the vanilla was present in the flavor too. The black tea base is very mild. It's mildly sweet on its own, but I added coconut sugar to make it sweeter. 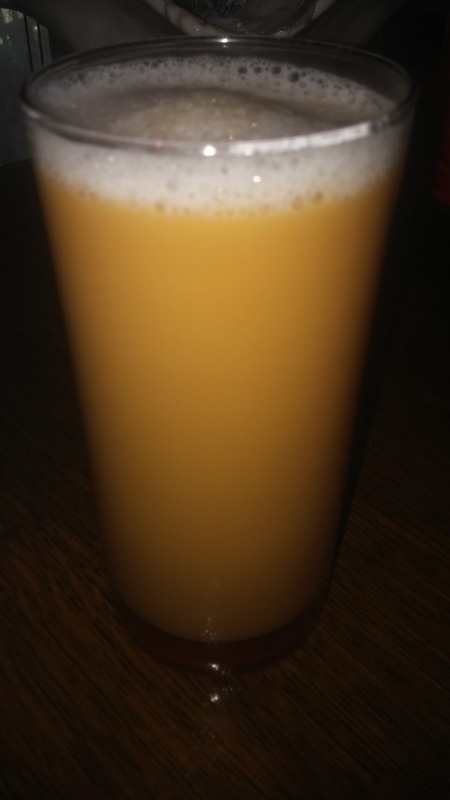 Thai Iced Tea in restaurants is usually made with sweetened condensed milk (sometimes half and half or regular whole milk). However, due to food allergies, I can't have milk very often, so I opted to make mine with So Delicious brand coconut-almond milk. In retrospect, this choice proved to be a little too watery and thin and didn't add enough texture or body to the tea. Since the nut milk also effectively diluted the tea, that also probably cut down on the flavor. All in all, I was a bit disappointed, but I blame the coconut milk. I also would like to try either making it as a concentrate (with less water) or steeping it directly in hot milk next time in order to get more flavor. That night my husband and I went out for Asian food and I ended up ordering a Thai iced tea at the restaurant. No doubt it was made with real milk, so the flavor was much better. I didn't feel too good the next day, but it was worth it as a special treat, just this once! 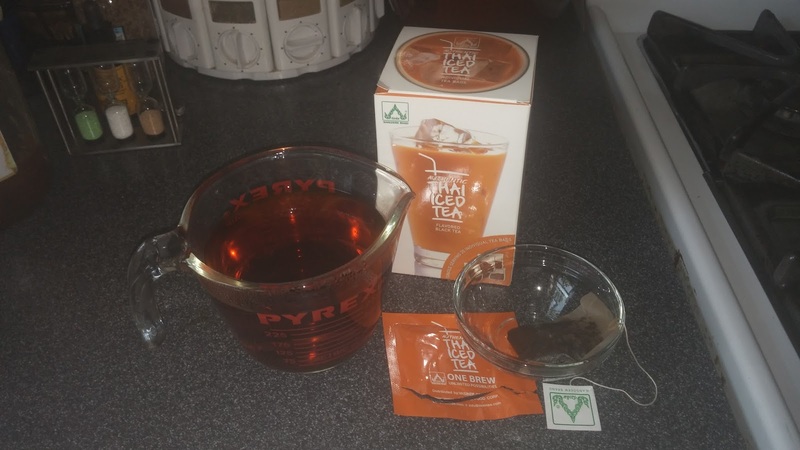 Cinnamon Tea: Get It While It's Hot! Masala Chai Tea Bags are my Guilty Pleasure! Ooh! Oolong! Ooh la la! French Feta!